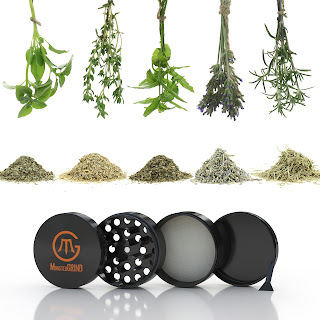 If you love to cook this is the perfect grinder for all your dried herbs and spices. This has a sleek compact design and even comes with a drawstring storage bag. It is currently selling for the price of $18.99 on Amazon via prime. I love growing my own herbs so this is perfect for different sauces and roasted meats and vegetables. I am very impressed with how well made and heavy duty this grinder is made. It is build to last and to be used daily. 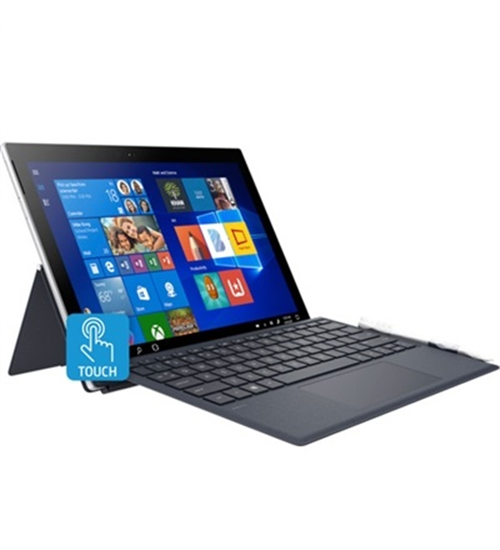 It is made of high-quality materials crafted from Aircraft Grade Aluminum Rod Using High Precision CNC Machining Technology. The magnetic top is the best, it keeps the herbs from getting into the cap grooves and not being able to close like other grinders do. I really also like the fact that it is so easy to clean. 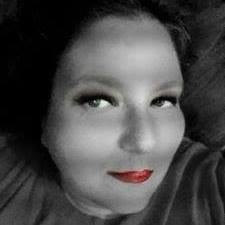 The gardening time just around the corner I can not wait to put the "grind" on my herb garden. NOT YOUR AVERAGE GRINDER: MonsterGRIND's Ultra Premium 4 Piece Crusher is Crafted from Aerospace Grade Aluminium Rod using CNC machining technology.This guarantees a Perfect Fit, Razor Edged Grinding Teeth & Life long durability. Powerful Neodymium Magnets keeps lid in place, avoids spillage and retains the fresh odour. Comes with a high quality 100 micron mesh for separating pollen. 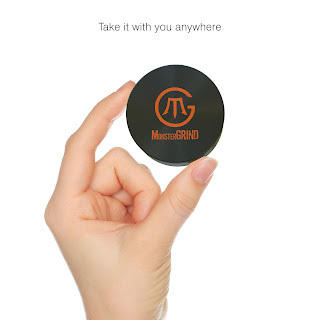 GRIND INSTANTLY: Whether you are grinding Herbs, Spices, Tobacco or Medicinal Herbs, MonsterGRIND's 28 Razor Sharp Diamond Shaped Teeth & Precision Glide Poly Ring Guarantees A Consistent & Seamless Grinding Experience. TWO FOR THE PRICE OF ONE: 2.5 Inch 4 Layers is the optimal size for a Herb & Spice Crusher. Large enough to grind plenty of herbs, but small enough to fit in your pocket. 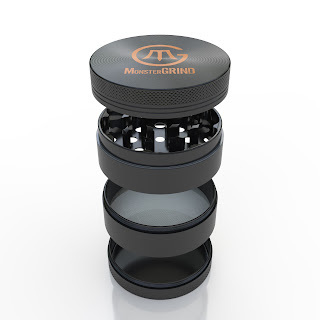 If you want an even smaller grinder, simply remove the 3rd chamber to get an even more compact Grinder to take with you ON THE GO. BONUS: Buy now and get a FREE Scraper for cleaning your grinder and a FREE Luxury Pouch for storage. Perfect Gift For Anyone! 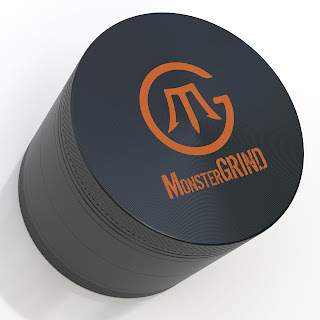 UNPARALELLED CUSTOMER SERVICE: At MonsterGRIND, our primary concern is keeping our customers HAPPY & SATISFIED. In the unlikely event that you are unsatisfied with your grinder, simply reach out to us, we will immediately issue you a refund. We stand by our 100% customer satisfaction, which is why we offer a 2 YEAR WARRANTY on all MonsterGRIND products. Try one today at our expense, RISK-FREE!